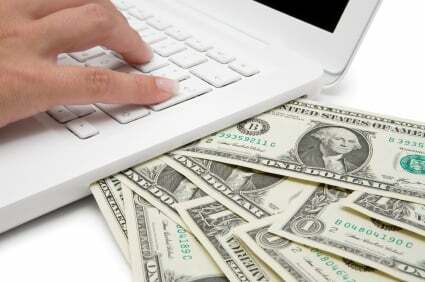 Did you know you can use the Moodle learning management system to make money? Universities, private colleges, technical institutes and all kinds of private online learning providers can offer courses commit a lot of time, effort, and money into developing their online learning programs, increasing the amount of pressure on learning departments to either become cost neutral, or turn a profit. Moodle helps this process by allowing education instituties to offer their online courses – even entire online learning programs – at a profit. Schools, universities and companies are looking at a new trend in online learning: open education in areas like art and design, health sciences, business, computer technology, engineering, sciences, sustainability, writing and technical communication and much more. This new revenue stream is allowing companies and institutions to really expand what they can offer. These schools and companies are developing Moodle online courses and selling those courses to many customers easily over the Internet. This requires an investment to take advantage of economies of scale. Selling online learning courses profitably requires a certain scale. Moodle starts to make sense when you can see yourself selling $10,000 or more in courses per year. Set up, installation and customization of Moodle can cost $3,000. Be prepared to cover those initial costs. In your second year, your costs go down – but they won’t go away entirely. Now you’re only paying for hosting. Hosting support starts at $720 a year. Assuming you’re ready to cover these start-up costs, you now need a business plan. 1) Dynamite Online Branding. Naturally, online marketing is going to be a key part of your selling process. You have to differentiate your company from the pack. How are you going to get found online to sell your courses online? 2) Superior Course Content. You have to offer quality instruction, ideally something that will allow them to get certified in something. 3) Understand your target market. Who wants to buy your course? Why? What do they need to learn? 4) Build Your Reputation. Most eLearning companies haven’t been around long enough to establish a choke-hold on the market. Your business will live or die based on your reputation for ability to deliver. 5) Develop Your Infrastructure in a Cost-Effective Way. How will you handle growth? Do you have the hardware and IT support you need to take care of your customers – and yourself? How do you sell your online courses and programs? LMSCheckout - A plugins for Moodle & Totara LMS, LMSCheckout enables seamless transcations for single, bundled, and group course purchases - including one-time sign-ups and subscriptions - for any type of training program or online education curriculum. This plugin allows you to present a branded course storefront to the marketplace, sell online and offline courses as part of a blended curriculum, sell courses by the seat or by subscription, and buy courses for others. Course Merchant - Allows you to sell courses, market courses, and manage courses online. This shopping cart is capable of processing tax, selecting multiple courses shown in line items and providing fields for flexible discount voucher/coupon codes. This eCommerce integration includes multiple payment methods, bundled products to enroll a learner into multiple courses in a single purchase, and multiple payment methods. To learn more about ways to facilitate the sale of your online courses. Check out Chapter 3 of The Complete Moodle User Guide for more information.